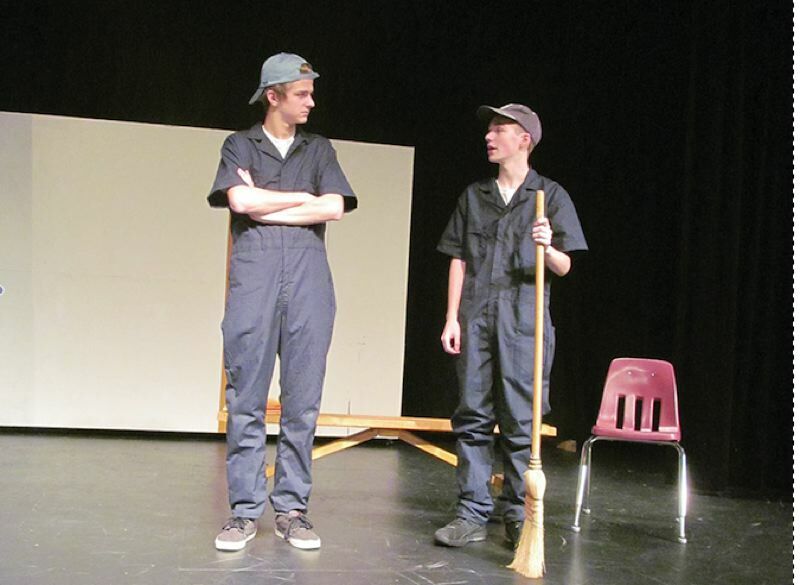 When one of her students discovered "Somewhere, Nowhere," a play that reflects the lives of teenagers, Gladstone drama teacher Emmett Pearson knew she wanted to direct it for the fall production.
" I immediately liked it because it was modern and based on real-life events that our current students are facing," she said. Performances take place at 7 p.m. Nov. 17 and 18 in the GHS Auditorium, 18800 Portland Ave.
"Somewhere, Nowhere" is about small-town life. For some, it's a place they can't wait to leave. For others, it's the best place in the world. Some consider it nothing but a memory," Pearson said. Like other real-life high school students getting ready for adulthood, the 24 characters in the play try to figure out if they should stay in their hometown or get as far away as they can. "I love that the play is modern, so the comedy is relevant. The students are facing the same dilemmas as the characters, so it's very relatable to teenagers everywhere," Pearson said. "It's funny and teenagers can easily relate to the plot and characters. Parents, teachers and teenagers will all appreciate the jokes." Pearson is co-directing the show with Josh Weir, the head of the GHS choir department, who began assisting her last year in the drama department's spring musical. "He's a valuable asset to the drama department. He has taken the lead on set design and lighting, which helps the entire production tremendously," Pearson said. What junior Kelley Grant likes best about Echo Moss, her character in the play, is that she is feisty and always speaks her mind. But "she is very conflicted and trying to figure out if she should stay in town or leave," Grant said. What audiences will like best about "Somewhere, Nowhere" is that it is "like the world around us," she added. Ariana Villeda, a junior, said her character is named Josie McDaniel, but everyone calls her the new girl. "She is stuck with that name, but she has personality and is true to who she is. Her parents are out of the picture, and she lives with her grandmother and feels misunderstood," Villeda said. Junior Duncan Harris plays Pete Quinn who has just been dumped by his girlfriend. "He's kind of a downer, but by the end of the show he has been accepted into the computer animation program at Chapman, his dream school," Harris said. Even though he has reached his goal, Quinn is stressed and doesn't know if he should go or stay here where he knows everyone and is safe, Harris said. People should come and see the show because it is "funny, heartwarming and kind of emotional at times. There are good relationships between the characters," he said. Pearson added: "Come see the show. It will make you smile and appreciate what it means to be a teen today." Where: GHS Auditorium, 18800 Portland Ave.